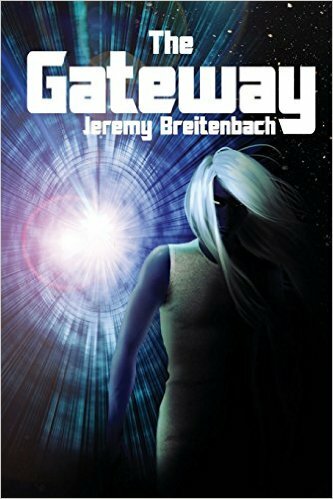 On this week's Wednesday, Writing & Words post I'm interviewing author Jeremy Breitenbach and we're learning about his debute novel, The Gateway. Upon initiating the gateway, Dr. Reynolds realizes that they didn't instruct the gateway to open in California, which was their intention. Unfortunately for Dr. Caulman, the gateway has opened on another planet located in another dimension. Before Dr. Caulman is able to close the gateway, six humanoids accompanied by six creatures emerge from the other side. What do these humanoids and creatures have in store for the inhabitants of the Earth? Can Dr. Caulman stop whatever it is that they have planned? And will he also be able to protect his wife, Jennifer, and children, Richie and Beth, from the alien threat? able to kill the humanoids and save the planet? 1. Why don't you tell us a little about yourself? Are you married? No. Any kids? No. Where do you live? Cincinnati, Ohio. 2. What genre do youwrite? For me, it varies but mostly sci-fi, horoor (for adults) and various (for children). Why do you like that particular type of story? I like horror because of Stephen King. He's my inspiration and my favorite author. And his books can be really engaging. 3. What are yourfondest memories of writing or reading? When I first began writing at fifteen. And for reading when I first read To Kill a Mockingbird. 4. What are some of your favorite authors and books? My favorite author is Stephen King. Some of my favorite books are: IT, The Shining, Doctor Sleep, Under the Dome, Cell, 11/22/63, The Stand, Cujo, Carrie, various short stories by Stephen King, To Kill a Mockingbird, and many other titles. 5. If you could describe what writing means to you, how would you do so? It means a lot to me. I've just found a lot of enjoyment out of writing. 6. What is your favorite snack & drink while reading/writing? I don't eat or drink anything while I write. 7. Which book do you think was best adapted into a movie? Well, it's more of a miniseries, but my answer is The Stand and also The Shining miniseriesddWhy? Because both of them followed their respective books extremely well. 8. Which book was the least successful adaptation into a movie? The original movie of The Shining directed by Stanley Kubrick. Why? Because it did a poor job in following the book. But it still is a good movie regardless. 9. Write your favorite quote and explain why you picked it? "For we live by faith, not by sight." 2 Corinthians 5:7 I chose it because it's always been one of my favorite quotes of all time. 10. Anyother things you'd like to share? Once I publish my next book, Tim's Story (which I'm still working on) I'd like to use the sale of it to benefit Show Hope. Show Hope is the organization Contemporary Christian Music artist, Steven Curtis Chapman and his wife, Mary Beth Chapman started in 2004. Show Hope helps assist families in adopting as well as helping care for and find families for orphans all over the world. Jeremy Breitenbach, advocate, now author, is a resident of Cincinnati OH, where he was also born and raised. 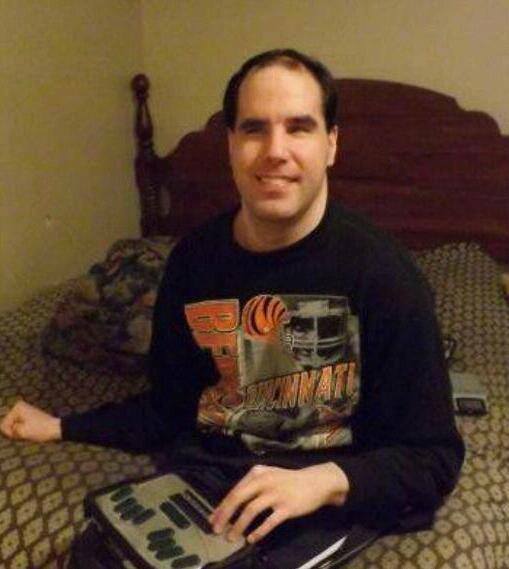 He has overcome several struggles including a premature birth from which he was not expected to survive, to being legally blind and living with Cerebral Palsy. His first book, "The Gateway" introduces readers to Chicago, IL in 2059, and Dr. Richard Caulman, a physicist who aims to revolutionize transportation. Instead his creation leads to an alien invasion which puts the entire world in danger. See how the story unfolds as Author Jeremy Breitenbach gives you, "The Gateway".